When you’re running your own business, the line between business hours and personal hours is often blurred. Between taking work home and spending too long on certain tasks the list of things to do can seem endless. And as we know there are only twenty four hours in a day and when you’re an ambitious business owner you don’t want to waste a single minute. Time is money, as the saying goes. Thankfully with the help of apps almost every aspect of your working day can be augmented with a few quick taps, saving time, and therefore money. So let’s take a look at our 5 must have apps for a SME business owner and sole traders to cut costs and increase productivity. Being a business owner means spinning many plates at the same time. It is all too easy to try and pick up another causing another one to break. With so much going on it’s easy to lose track of what you have to do, when you have to do it, and who with. Scheduling apps can take the hassle out of trying to remember precise dates and times, allowing you to access a copy of your schedule whenever and wherever you are all in one place. Google Calendar has it all – scheduling, time management, reminders, events, remote access and the ability to share your plans with others. Google Calendar allows you to add appointments and other activities into your own calendar and even break down each day to specific tasks. With reminders and the option to add goals to tick off you won’t forget another dentist appointment or client deadline again. It even integrates with other Google Apps such as Google Maps and Gmail. So not only can it add appointments arranged via your emails but it can plan the route too. That’s efficient. You can share your calendar among other employees and access it anywhere if you are on the move, so the people that need to know where you are, know. Google Calendar is a must have app for anyone that wants to stay on top of it all. If you are someone that is constantly coming up with new ideas, or maybe always in meetings and continually needing to take notes, then you might need to get yourself an app that keeps them all stored and organised in one place. Evernote works across numerous devices allowing you to organise your work and declutter your life, on the go or in the office. You can save, edit, organise and share notes, whether they be hand written, texted or yelled into your phone. It even scans photos and documents allowing everything to be kept and stored and easily accessible when you need it most. Talk about cutting down time on taking notes, never mind finding them! Running your own business can have you snowed under with all the tasks that need done in a day: Sales, business development, customer service, public relations, the list goes on and on. 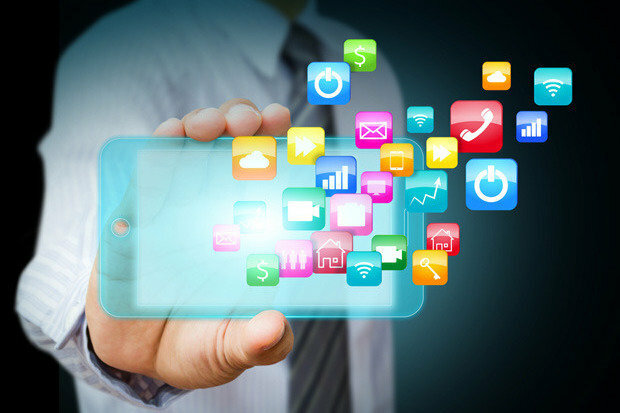 Which business apps are best for you depends entirely on your type of business. But any app that can help tackle a certain aspect of your business can free up hours of your time every week. Where there are profits, there are expenses and that’s why the Expensify app is a must-have for any business owner. Keeping a record of all your incomings and outgoings yourself is an administrative nightmare. With complex bills, handwritten receipts, different currencies and other forms of payment that you need some way to keep a track of. So anything that helps smooth this process is going to be a new best friend. Expensify works by using SmartScan technology to scan your receipts and pulls out all the vital information like date, time and amount. It then puts this together in a report, taking all the hassle out of doing your expenses. You no longer need to worry about forgetting your memory pen or awkwardly resending the email with the file definitely attached this time. Or waiting precious minutes on an upload whilst in the middle of a presentation. With file sharing apps you have access to everything you need, anywhere. Access all your files from the cloud with Google Drive anywhere, anytime from any of your devices with your gmail. Everything you add and keep in Google Drive is automatically synced to all your devices so you never have to worry about forgetting to bring your memory pen again. Use it to store documents, sheets, slides, photos, videos, and more. All which you edit it on the move across devices. The office suite allows collaborative editing of all of your documents across your team when needed. Social media s a core part of most modern businesses. However, considering businesses often have several separate profiles to manage across different platforms targeting different audiences, it’s often a sizeable extra workload. The good news is that there are plenty of great social media tools and apps to help you establish or build your presence online as well as keep it consistent. Hootsuite allows you to link up all your social media platforms together and manage them from one centralised app. Post content live, schedule content for the future, monitor your interactions and reply to private messages across all your social media profiles from just one service. Gary Easton cut his teeth working at one of the Big Four auditors KPMG. However, a few years ago, Gary decided that SMEs deserves a better service and left to found Tax IQ, a specialist SME accountant based in Edinburgh.